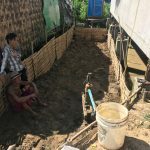 MOVING TOWARDS A GREEN MAGWE REGION! At the end of this year, Green Lotus has just launched a series of regional green summits all over Myanmar, over the 14 Regions & States. And the first one happened 4 weeks ago in the city of Magwe (Magwe Region), under the patronage and with the lively support of one the best Green Lotus’ friends, the new Chief Minister, U Aung Moe Nyo. Those sessions aim at raising awareness on green issues, empowering local organizations, politicians and private companies on green solutions : renewable energies, waste treatment, water access, responsible farming, éco-tourism…. The purpose is also to provide assistance to locals to develop green projects. It is true that every stakeholder is now more than ever ready and motivated to develop sustainable initiatives, but still suffering from a lack of coordination. 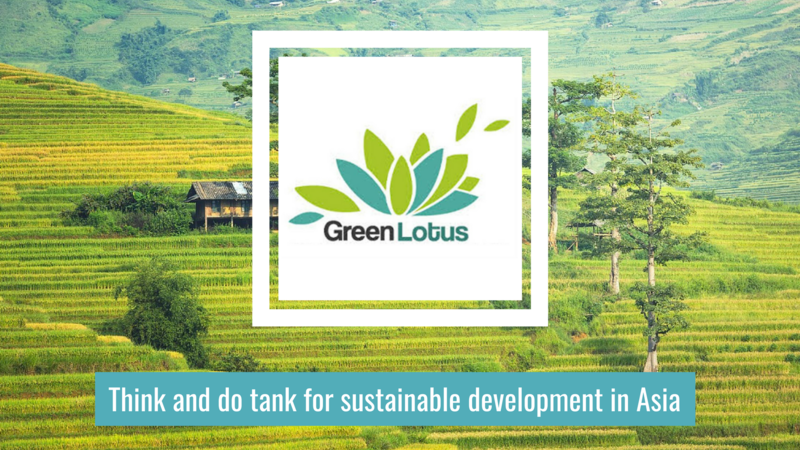 Green Lotus is willing to help on coordination of projects and efficiency of policies, and it starts by developing this kind of “regional green summit”. The session, which attracted a wide audience (about 160 people), was a great success, for at least two reasons. First, listeners were deeply interested in the different issues as they were asking a variety of questions during the debate parts of the day. Secondly, three potential future projects were discussed between local stakeholders and Green Lotus, who will do as much as it can to gather the various stakeholders, in order to develop these green initiatives in Magwe region. The training was divided into four parts, to give an overview about green issues in Myanmar, and more precisely in Magwe region : 1) climate change, 2) renewable energies, 3) agro-ecology, 4) green business. About Myanmar challenges in close future: the country will face some dramatic difficulties (rise of sea level, migration, floods…), as it is the second most endangered country in the world by climate change, after Bangladesh. But Green Lotus team mostly wanted to present some concrete opportunities, at grassroots level. And then emphasizing the huge potential of Myanmar to become one of the greenest countries in Asia. Every region has a proper potential, depending on its local activities, its localization and its social environment. In a most rational way, each region should use the best-suited renewable energy mix. As all of the countryside, Magwe needs a better electricity access. As Jean-Marc Brûlé, Green Lotus Chairman, said: “Magwe Region has the biggest potential of solar development in Myanmar!” Therefore, we need to join forces to help Magwe becoming the solar capital of Myanmar. Everybody knows about the potential of solar, but also about the structural weakness : not available 24 hours a day, unless you have a very good battery system and management. So that is why we promote solutions like hybrid power plants using both solar and biomass together, for example. A specific presentation was made of an off-grid project of solar farm of 3,5 MW on the island of Yesagyo in Magwe Region. This joint programme of french company EDF, and burmese company PARAMI Energy Group, has indeed planned to set a park of batteries with a revolutionary Management System, allowing the solar panels to provide full electricity (12 hours a day) to the 7200 households. This project is the 1st of its kind in the world. Some farmers are producing organic food, but they don’t really know they are doing so, and that it is a potential market. Thus, we need to provide information, and create a functional network between farmers, land owners, suppliers and the administration. One of the future challenges will be to motivate eco-tourism. We saw what happened in Thailand, with fast development and mass tourism. Business owners were (and still are) looking for short-term high benefits, so they built big and cheap hotels without any environmental concerns, destroying cultures, environment and social harmony. In Thailand, today, we know the terrible impacts that kind of development involves. Green Lotus wants to promote a local, adapted and eco-friendly tourism. In this regard, it was highlighted that Bagan will really soon be overcrowded (if it is not already the case!). As Pakokku City (Magwe Region) is only 40 km from Bagan, we wished all together to launch an ecotourism project in it. “Why Pakokku?”. For three reasons: it’s in Magwe region, it’s in danger, and it has a big green potential. Participants exposed a range of concerns, from very concrete issues to more theoretical concepts. Executive Officer of Magwe City U Htin Aung wondered about the process of a “Waste to Energy” project. “How much waste do we need to make it functional?” he questioned. Even though the answer depends on the “quality” of the waste and on some other factors (the incinerator, etc. ), it is estimated that an average of 2 kg per household would be appropriate to start such a project in a rural area. U Htin Aung said Magwe City is producing 70 tons of waste every day, which is more than enough to launch a project. A representative of the Magwe Youth Network was really surprised to learn that a massive solar plant project (220 MW) was going to take place only 13 km from Magwe, in Minbu. He and other listeners also asked about the possible beneficial impact for Magwe Region, and not only for the national grid, which is mainly meant for Yangon and Mandalay electricity needs. Everybody in the room requested more transparency. That is a topic of discussion of relations between national level and regional level, a typical problem of a democracy. 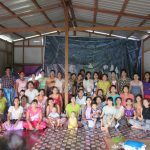 – a “Waste to Energy” project in Magwe City (approx. 200 000 inhab. ), for the 70 to 100 tons/day of waste, managed by Magwe CDC. The mayor and officials of Magwe CDC requested Green Lotus to help them setting a programme. – an ecotourism project in Pakokku region, on the other side of the river in front of the very touristic area of Bagan, to unclog the area and promote genuine culture and biodiversity, with eco-designed hotels and facilities, and fully respectful activities. As a contrast to the abuses and disorders seen in Bagan. 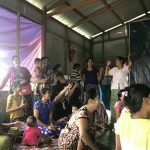 To get a better idea on how to implement those projects, and other to come later, Green Lotus wish to soon work on a starting survey together with some NGOs (like WWF, REAM…) on renewable energy potential in Magwe. Because this session in Magwe City has proved its usefulness, Green Lotus is more than ever ready and motivated to continue his “14 REGIONS GREEN ACTION TOUR”! We are now preparing two other trainings (including one in Irrawaddy Region), and we will get you informed very soon.